Congratulations to Dr. Mark Zylka who has been recognized as a 2017 American Association for the Advancement of Science (AAAS) Fellow! The AAAS fellows date back to 1874 and have included such prestigious recipients as Thomas Edison and Margaret Mead. More recently, five of this year’s Nobel laureates were also AAAS Fellows. 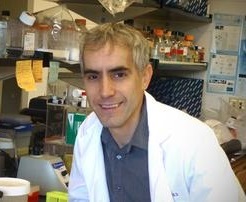 The ASF is proud to fund the work Dr. Zylka has done to improve the lives of individuals with Angelman syndrome! Read more on the American Association for the Advancement of Science website.